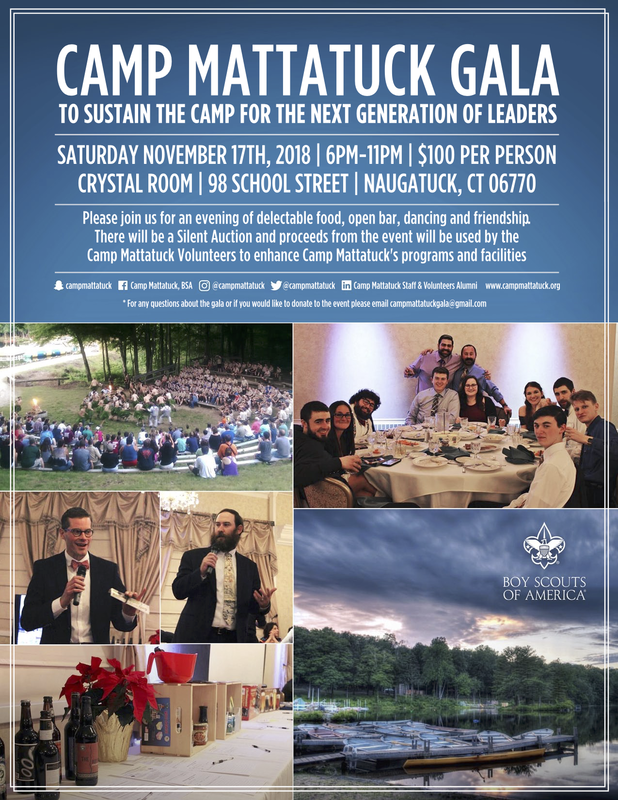 The 2nd Camp Mattatuck Gala will continue to support the Mattatuck Volunteers and their mission to continually improve Camp Mattatuck for future generations. Your support of this event goes directly to Camp Mattatuck. There will be a cocktail hour, dinner, open bar, dancing, and a silent auction. Our first year was a success and we hope year 2 is even bigger! For more information visit the Gala page or the Camp Mattatuck Facebook page. 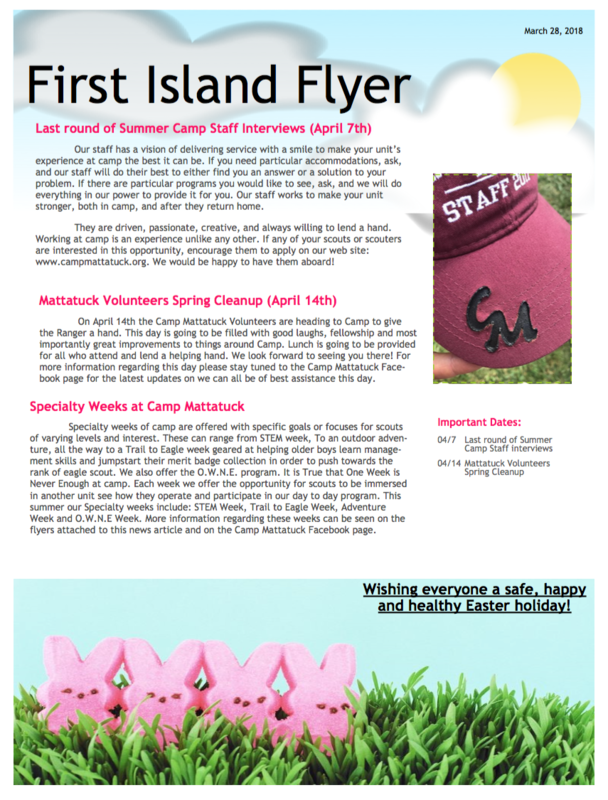 The newest edition of the Mattatuck Messenger!!! The 2017 Program Guides for both Boy Scout and Cub Scout camping have been posted to the website visit www.campmattatuck.org or click the button below. This includes the updated Merit Badge schedule.